After years of mediating part-time while practicing law, Laurel Kaufer transitioned to full-time neutral practice in 1995. Mediating disputes successfully through panels across Southern California, Kaufer was quickly able to gain strong credibility, serving as a neutral in over 1000 disputes. After a decade resolving litigated cases, Kaufer makes every effort to address conflict prior to litigation wherever and whenever possible. Specializing in the resolution of construction, real estate and commercial disputes, Kaufer has been instrumental in the restructuring of a public mediation panel through the Southland Regional Association of Realtors and regularly speaks throughout Southern California on Real Estate mediation. Kaufer, a Diplomat and Advisory Committee Member of the California Academy of Distinguished Neutrals, also arbitrates Contractors State Licensing Board disputes and mediates through both the Santa Barbara CADRe program and the Ventura County Superior Court. A leader in any profession is expected not only to practice with credibility and expertise, but also enhance the profession through a consistent exchange of knowledge and experience, as well as open up new frontiers of practice. Kaufer�s commitment to public service is a natural part of her career as a neutral. Kaufer served for years on the Board of the Southern California Mediation Association and is a past Board Member of Ventura County Dispute Services. In 2007, Kaufer co-founded the �SCMA Salons,� warm home-based events, presenting guest speakers from outside the local community who engage mediators in intellectual discussions of issues which push the envelope of the profession. 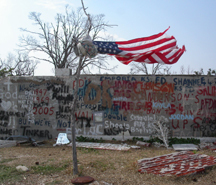 Most recently, following Hurricane Katrina, Kaufer founded the Non-Profit Mississippi Mediation Project to provide Community Conflict Resolution programs to hard hit areas of the state, strengthening their physical, cultural and economic renewal. Recognizing that this was an effort she couldn�t do alone, Kaufer used her professional credibility to recruit a group of highly esteemed Mediation professionals from private practice, universities, non-profits and government agencies across the United States to create, implement and support the programs of the Mississippi Mediation Project. In order to see that this effort leaves sustainable programs in place, the focus of the MMP is on the training of community members both in conflict resolution skills and in the training of those skills. In addition, programs are planned to provide ongoing support to trainees who apply these skills in their communities through the use of an online mentor program, the donation of conflict resolution resources to local libraries and community dialogues. Daniels, Baratta & Fine, Associate, General Litigation and Insurance defense firm.